2 Bedroom Flat For Sale in Pearl Lane for £262,000. 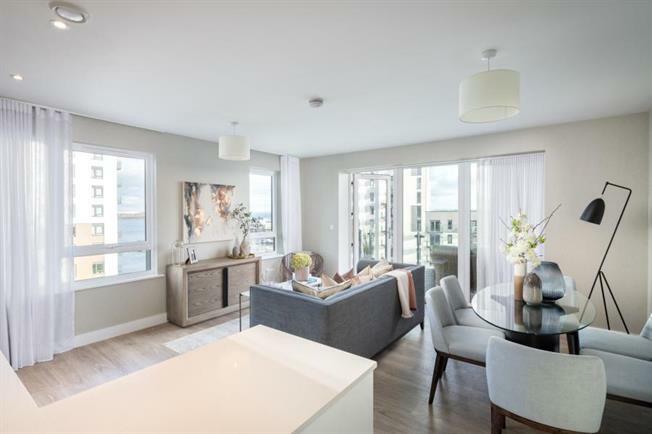 This generously-sized, two bedroom, two bathroom, south west facing apartment has been finished to a high contemporary specification. The space is maximised by an open plan kitchen and living area, which extends out onto your own private balcony. Residents have access to a private resident's gym and Wi-Fi lounge while apartments also benefit from parking included in the price. 43 minutes by train from Central London and under 1 hour to Gatwick Airport. Located in the Victory Pier development on the river front of Gillingham. The development benefits from its great commuter links, both via road, rail and bus. The site currently hosts a Tesco Express, Subway Domino's and a gym along with a number of other shops, restaurants and bars planned to open soon. Locally, you can also visit the Dockside Centre which offers a range of shops, restaurants and a cinema.